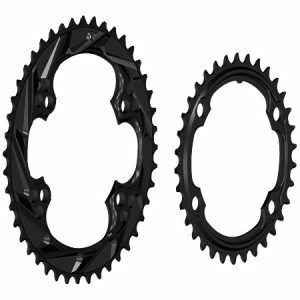 Cyclocross and Gravel rings for the newer generation Shimano 4-Arm road cranks in our most popular Cyclocross 44/34 tooth combination — made, of course, with WickWerks BRIDGE Shift Technology — now configured to fit the newer Shimano 4-Arm road cranks. 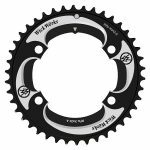 Cyclocross chainrings with BRIDGE technology – made specifically for the demands of ‘Cross. 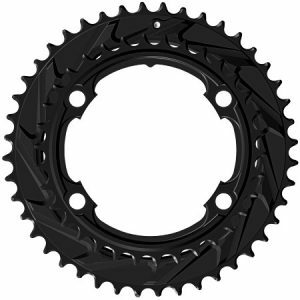 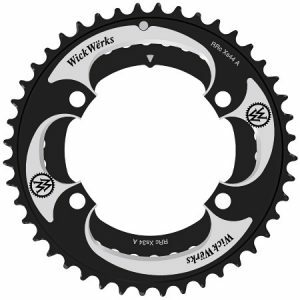 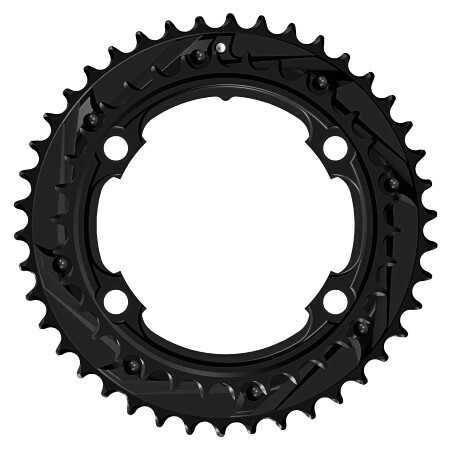 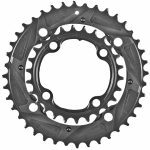 The 44/34 tooth chainring combination by WickWerks was first introduced in 2008 and made famous by Katie Compton as she charged through the Women’s Cyclocross racing world. 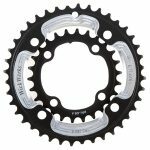 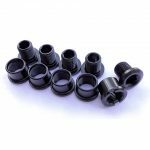 Many other riders (male and female) have followed — realizing that in many cases you can go faster with smaller rings that better fit personal abilities and power range. 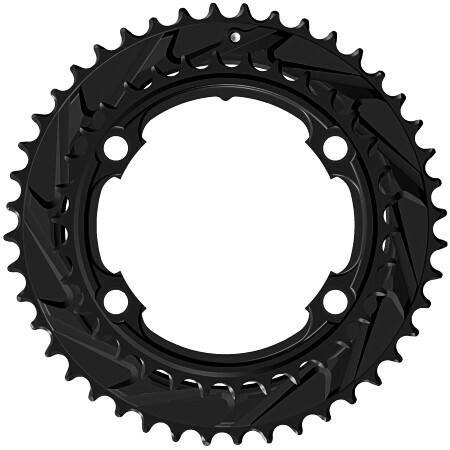 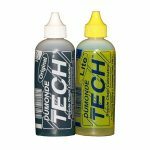 Now this very popular 44/34 tooth combination is available to fit the newer Shimano 4-arm road cranks. 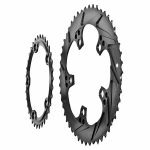 These are high-performance chainrings made with the WickWerks BRIDGE Shift Technology to shift faster, to shift more dependably (in all sorts of conditions), and to give a racing shift advantage. Check out the chainring images — especially the back and side views to see the aggressive chain lifting shift ramps. 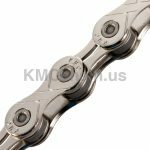 (We call it BRIDGE Technology, and it has changed the game.) 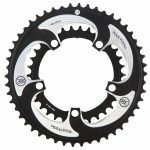 This is the best shifting currently available – and miles ahead of shift pins — ready to grab the chain and shift when you’re ready to shift, even in the nasty of a cyclocross race. 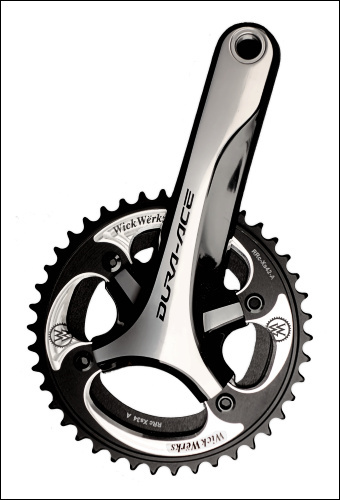 This shift tech is now available for the newer Shimano 4-arm cranks. 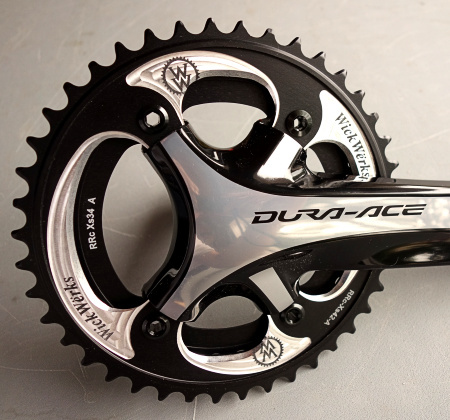 They fit just fine on the cranks (as shown in most of the images on this page), but if you want a more finished look, you can also get the bolt covers (by Shimano) as shown in this image to the right. 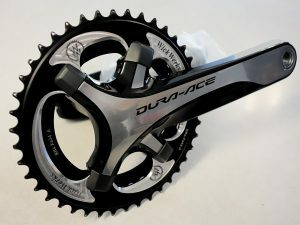 They can be expensive, and you’ll probably have to order them from your local bike shop, but if you want the look, the covers are available. WickWerks Cyclocross Chainrings — Now Made for Shimano 4-Arm Road/CX Cranks.